A few shots from a solo off-trail exploration in Pickens County, SC, done on December 2, 2015. I started at Sassafras Mtn, followed the FHT south for about a mile, and then bushwhacked down to the creek. 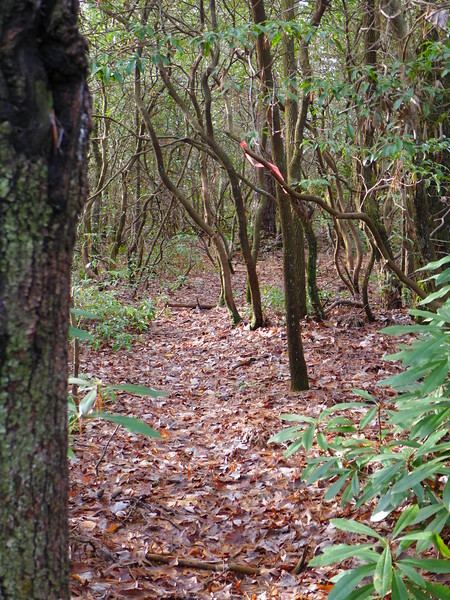 ....finding a pre-scouted trail: PRICELESS! I had expected a mile or so of pure bushwhacking to get to the portion of the creek I was aiming for. Was so surprised to see marking ribbons leading me along a fairly easy walking route for the first little ways! !